Get ready to put your eye cream on the back burner. 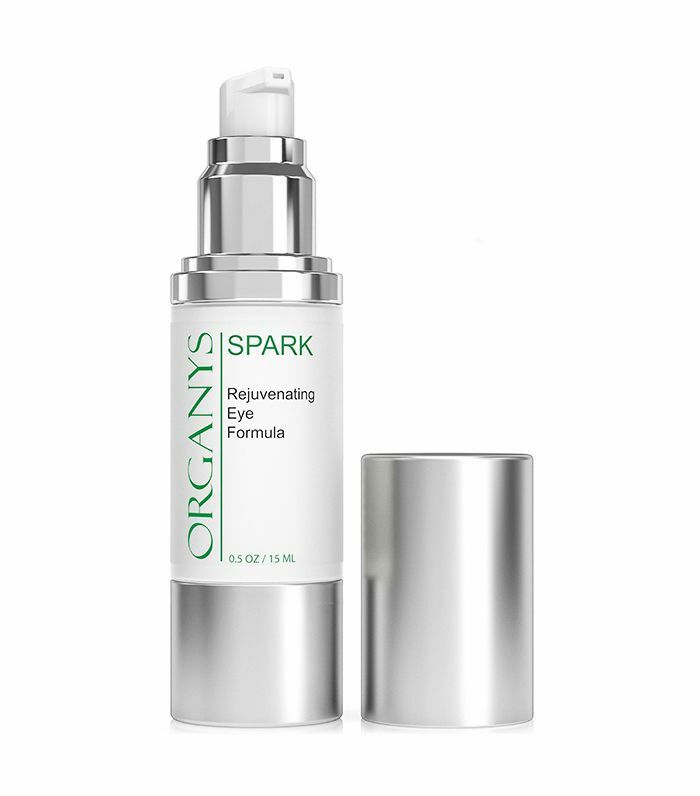 The staple moisturizer's freewheeling sister, eye serum, is making moves in the market. While both creams and serums work to moisturize and care for the delicate (and often problem-prone) under-eye area, the latter might prove to be a game changer in your beauty regimen—delivering the results you desire faster than your go-to cream. Thanks to their formulation, the best eye serums are—like the serums you use on your face—able to penetrate the skin deeper than eye creams, delivering high-potency ingredients below layers of skin. Eye serums also absorb more easily without leaving any residue behind, making them perfect for application under makeup during the day. We've rounded up some of the best eye serums below, along with how exactly they brighten the eye area, treat puffiness, and fight fine lines and wrinkles. Tatcha's signature anti-aging blend features green tea to reduce puffiness, Okinawa red algae to combat fine lines and wrinkles, and rice bran work to restore and protect delicate skin around the eyes. The fast-absorbing serum is released through a ceramic applicator that cools and calms skin. Lightweight enough to be worn under makeup or as a refreshing boost when going makeup-free. Drunk Elephant nails it again in the skincare department with its easy-to-use eye serum. A potent blend of antioxidants and cell-reparative ingredients brighten eyes sans light-deflecting materials and effectively treat your top eye concern, whether it be fine lines, wrinkles, puffiness, or age spots. 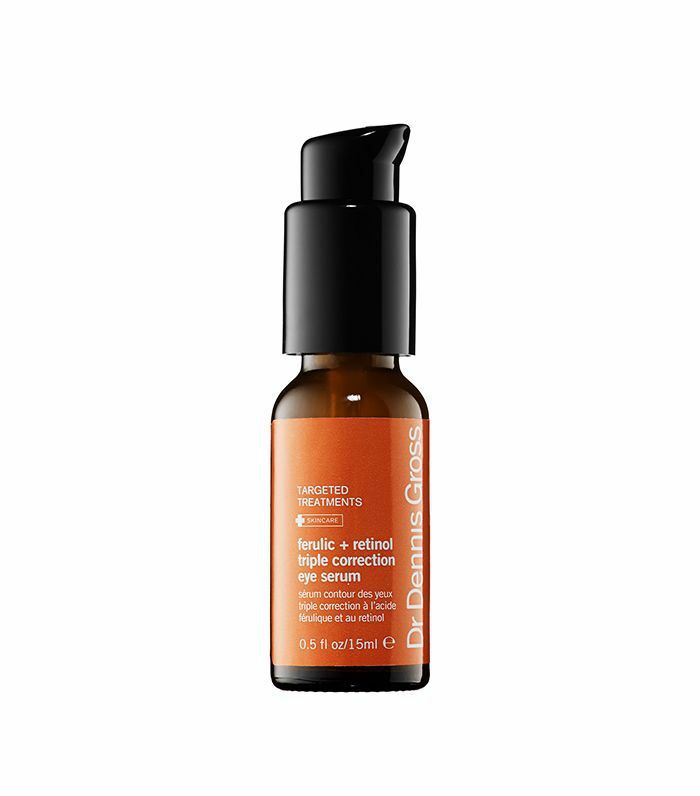 With a special formulation of ferulic acid and retinol, New York City dermatologist Dennis Gross developed a serum that targets three major eye issues—dark circles, puffiness, and wrinkles. Ferulic acid works overtime to firm skin and fight wrinkles around the eye area while licorice root extract brightens dark circles and leaves eyes looking refreshed. Plus, the eye serum is silky enough to go on beneath makeup and light enough to be worn without. La Mer can be counted on to deliver a luxe skincare experience through its signature formulations of sea botanicals. Promising to lift eyes, this one shapes the look of natural contours and elevates skin from lid to brow by simultaneously energizing and firming the area. The silky eye serum is designed to be layered with other products in the brand's line, such as its Eye Concentrate to target dark circles or its Eye Balm to decrease puffiness. 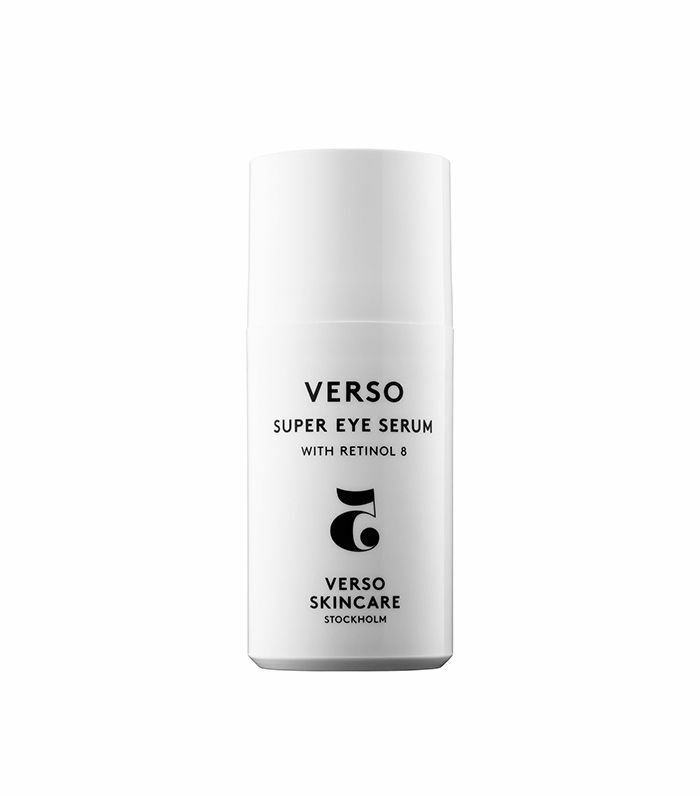 What makes Verso's firming and smoothing formula stand out is its use of Retinol 8, a stabilized vitamin A complex that is actually eight times more effective than standard retinol (hence the name). Free of dyes, mineral oil, and other harmful ingredients, it is particularly suited to those with sensitive or irritable skin. This sculpting serum allows for extra precision with its sleek dosage-control pen. A blend of rare natural actives and hyaluronic acid delivers rich hydration to the eye area and supports the natural production of collagen for a boost in youthfulness. 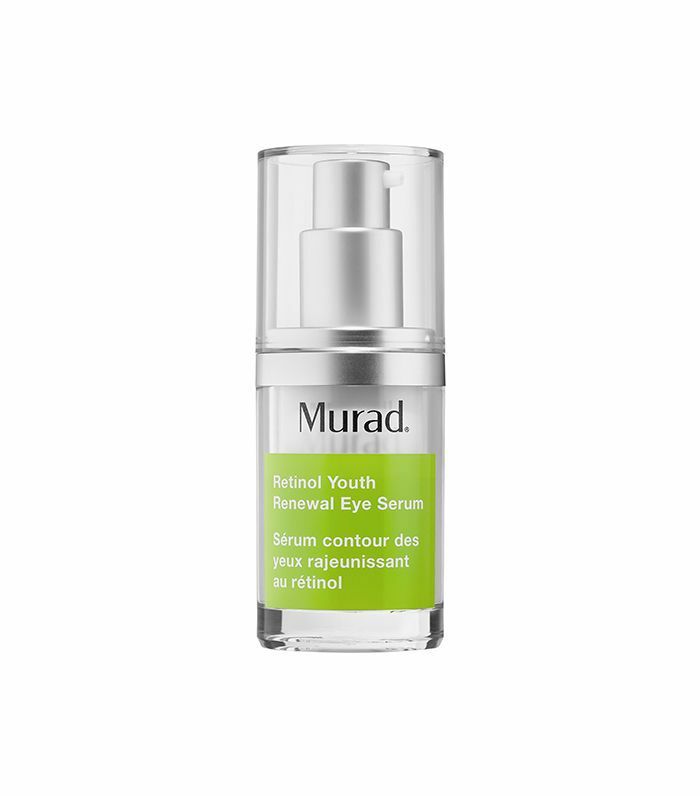 Retinol fuels this powerful eye serum that targets wrinkles and crow's-feet. The formula's nutrient-rich marine kelp complex brightens dark circles and firms the area to lift and revitalize eyes. You can begin noticing a visible minimization of key signs of aging in as little as one week. 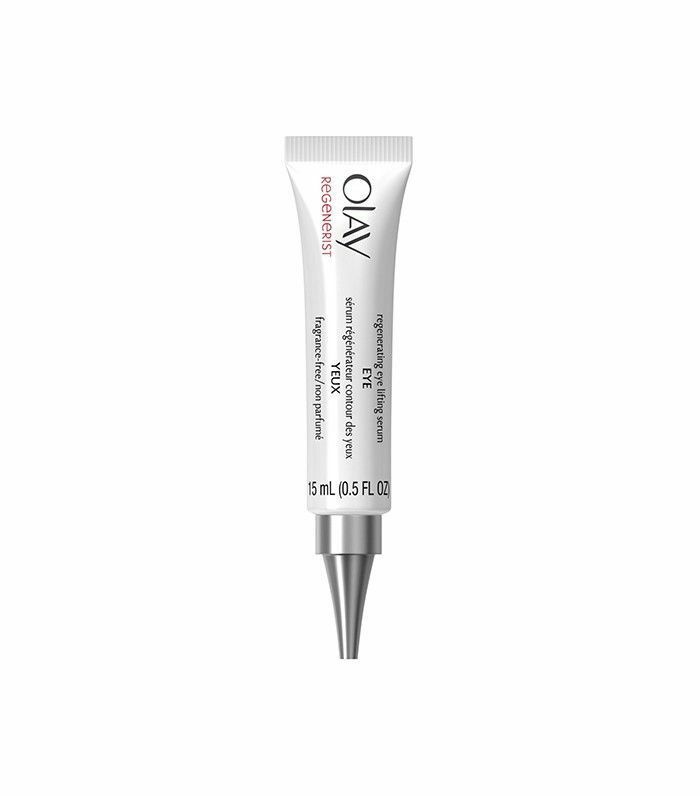 Olay's silky eye-lifting formula instantly brightens the eye area and softens the look of fine lines with every use, thanks to the amino peptides. Its vitamin complex also reduces fine lines and wrinkles in merely two weeks. 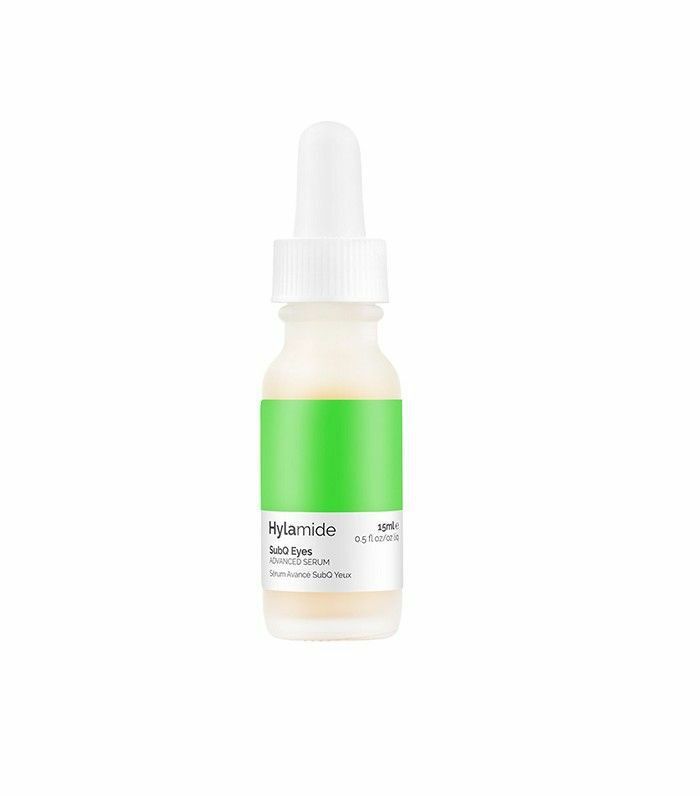 If you're in the market for a product that targets nearly every problem that you can think of, from crow's-feet to dark circles, look no further than Hylamide's eye serum. Housed in this little dropper bottle are some powerful ingredients like a peptide complex to reduce the look of lines around the eyes and flavonoid glucoside bio-active to lessen visible darkness under the eyes. For those looking to prevent visible signs of aging, Baszicare has got you covered. 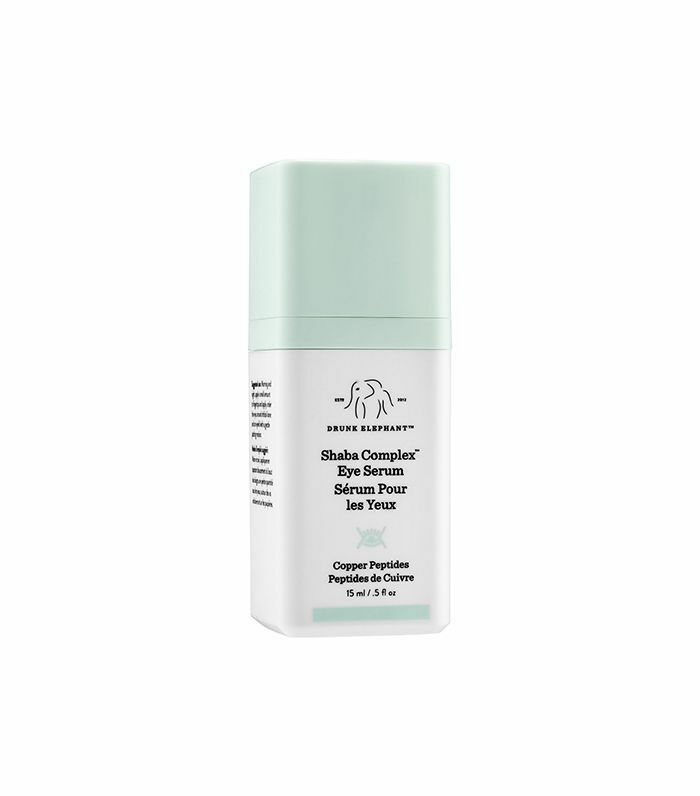 It feeds your skin rejuvenating ingredients like beta glucan to revive the eye area's connective tissues for more radiant and visibly younger-looking eyes. Wake up with significantly brighter eyes and stronger lashes? Yes, please! 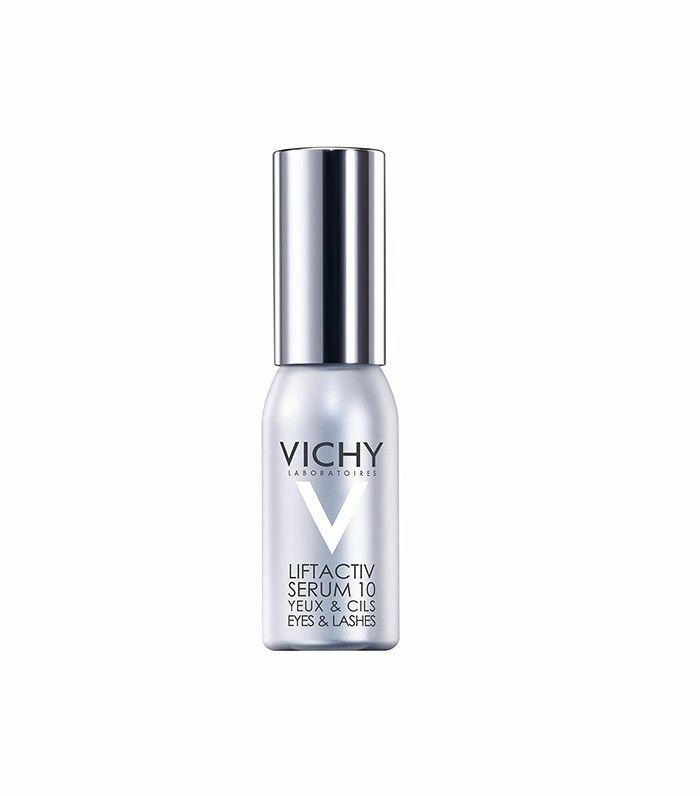 Vichy's serum gives you the best of both worlds with a naturally derived plant sugar called rhamnose to rejuvenate the skin, plus ceramides to strengthen those lashes. 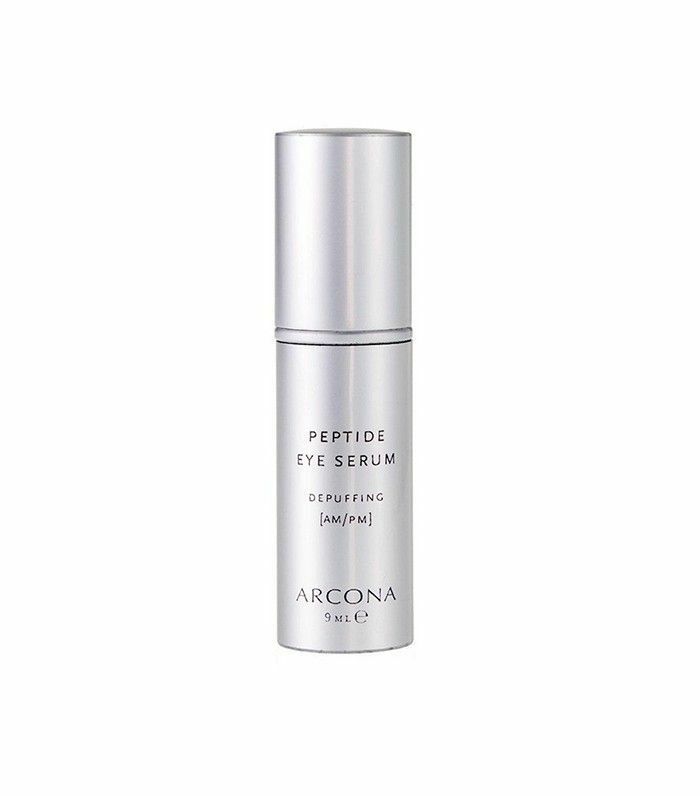 Arcona's eye repair complex contains peptides that help rebuild the elasticity of thinning skin. Safe for daytime and nighttime use, it also protects from environmental damage and de-puffs with soy protein and coffee extract. The gold standard in under-eye care (pun intended), this serum comes equipped with a 24-karat gilded massage tool to help penetrate the formula deeper into the skin and to drain the area of fluid buildup. The serum itself is made with precious red pine, an antioxidant which helps ward of aging environmental factors and reduces inflammation. Over 2400 Amazon customers dig this light, non-irritating product for its refreshing feel on the skin and results-driven formula containing peptides, vitamin C, hyaluronic acid, and caffeine. "Has made a significant difference in dark circles, under-eye bags, and firmness, especially above the lid," one review writes. "Love this stuff!" Up next: How to make the whites of your eyes brighter.